The Pemco Anesthesia Shield has a tabletop surface that can be used for placement of surgical instruments, keeping them in the surgical field. The shield provides a protective area around the patient’s head and shoulders, reducing undue application of pressure to the patient and to monitoring lines. The shield provides a fixed and open space for the lines and vent tubes. 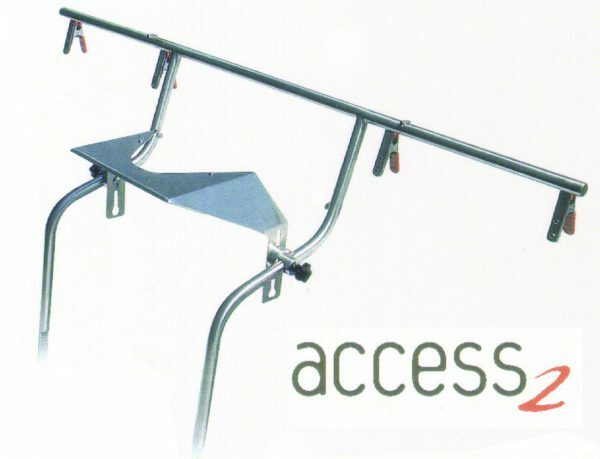 The shield easily mounts at the head of the OR table. 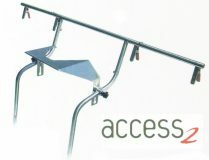 Its feet slip into rectangular holders which mount to the OR table railing, allowing the shield to move with the table.